When it comes to selling your home, it can be very competitive. There are so many others out there trying to do the same. So you need something to put your home top of the deck. You need to make improvements that will have people queuing up for viewings. 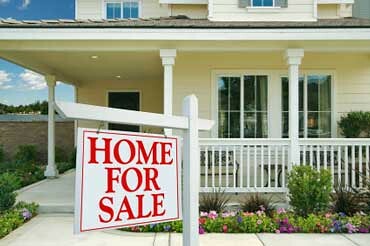 These are some of the best things you can do to help you sell your home. Everybody knows how important the kitchen is. And all the prospective buyers you have are going to want to see it. And they will make a decision based on this room. That’s how important it is to the property. So, you need to make sure you modernise the kitchen as much as you can. Try to go for an open plan design, and make sure you have modern, trendy appliances. The kitchen is your unique selling point. So be sure to make the most of it when the time comes. A great way to prepare the home for a sale is to check the floors. Now, remember, you’re trying to get the best possible outcome for your property. In order to get a sale quickly, you need to add that wow factor. You’ve got to give your home a selection of things that make it stand out. It’s important to turn heads. One of the best ways to do this is to lay hardwood floors down. The floor is such an important part of the home. It’s maybe the one surface that is used every single day. So it’s got to be durable, low-maintenance, and it needs to look great. Hardwood floors tick all these boxes. So check out hardwood timber merchants and select the perfect wood. Then you can lay hardwood flooring and give your property that x factor. When you’re getting ready to sell your home, it’s basically now a show home. It’s important that you treat it in this way. Bear in mind that people will be looking around a lot. They need to see the place as somewhere they want to live. This means it needs to be presented in the best possible way. So you have to ensure that you keep the home clean and tidy. When people come over for a viewing, the home should look almost as good as new. It’s going to be a pain to do this regularly. But it’s only short-term until you secure an offer. If you look at it like that it’s totally worth it. It’s important to think about the colour scheme you’ve got in the home. You’ve got to realise that you can tell a lot about a home from the colour scheme. It gives people lasting impressions of the property. So if it looks garish and unattractive, it’s likely to put them off. Your best bet is to change your current colour scheme from whatever it is. Think about going for something neutral instead. You want to go for light, pale colours that will complement a room. This is important because it makes the home more inviting and appealing. When it comes to selling the property, you need to think about the future. These days a lot of people seem to put stock in green living. So you need to make sure your home is as eco-friendly as possible. Make sure all the lightbulbs in the home are changed for greener LED alternatives. Think about composting in the garden to cut down on the waste you produce. The garden is where you can really go green properly. Get a water tank installed to trap rainwater for your water supply. Also, make sure you get solar panels on the roof. These look great and will save loads on energy bills. All these things will add extra incentives for buyers considering your property. If you want to add a modern and trendy aesthetic to the property get a wood burner. It’s important to have an energy efficient way of heating the home. Most people would choose to go with an open fire. These are great, but a wood burner is even better. They are sleek and trendy and can fit with any room. Have a look at the type of options on offer for a wood burner. You could even put one in the kitchen too. They are an awesome way to make the home more energy-efficient. With one eye on selling your focus has always got to be adding value. The best way to do this is to extend. Now, the most common type of extension these days is a conservatory. But it doesn’t mean that this is the only type available to you. Sure, a conservatory is great. But you can also extend onto the end of the home. Think about creating an extra garage, or an office space. An extension is estimated to add around twenty percent to the property’s value. So this is vital if you want a smooth sale. You might need planning permission though. And you’ll need to get experts in. You must remember how important the roof is for your home. It’s the one thing that protects the property more than any other. It’s going to shield the house from the elements outside. But because of this it’s susceptible to wear and tear. And the trouble is that the roof is often overlooked. As such, it’s difficult to keep on top of its condition. So you need to make sure you check this out. Keep a close eye on the condition of the roof. Have a look and see if it needs repairing or relaying. Once you’ve found out you need to take action. Contact professionals and get them in to take care of the roof. Selling your home is often chaotic and stressful. But with these tips it no longer has to be. You can move your home to the top of the pile. The idea is to enthral and mesmerize potential buyers. The best way to do this is to take pride in all you do. And to look for things that are going to benefit the home.